Northwest Electrical Services designed and supplied a conversion control panel for an international client operating a stationary diesel power plant. The original control system for the resistive heaters involved contactor control engaging various banks of resistors to increase or decrease heating as temperature required. This method of control resulted in premature failures of heating elements and inefficient use of energy. While the fuel heating is primarily accomplished capturing waste heat from a generator, at lower loads the heating needs to be supplemented by electrical heating. 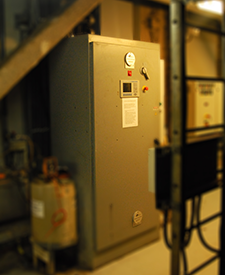 Northwest Electrical Services LLC, designed, fabricated, installed and commissioned a new heater control panel incorporating SCR heater control an Allen Bradley PLC as well as interface with existing plant control systems. 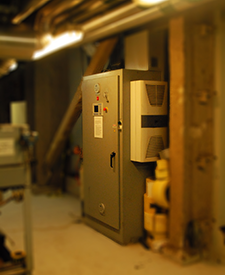 This system resulted in substantial energy savings, and greatly increased the reliability of the heater elements.